Take a Table-Top Trip to Mackinac Island! 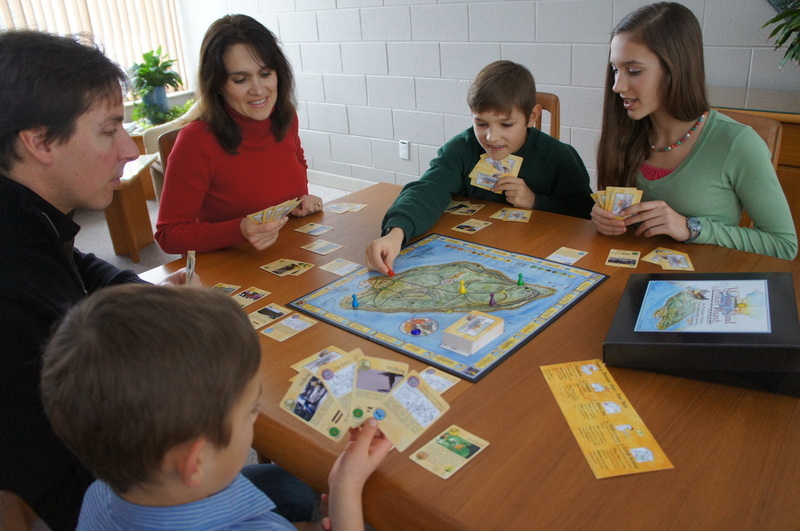 If you have been to (or hope to get to) Michigan's Mackinac Island, then you will love Mackinac Island Treasure Hunt! 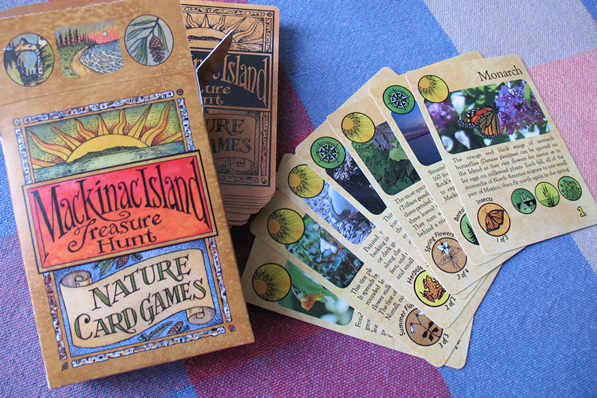 In these games, you are a visitor to Mackinac Island with a mission: Observe the most Natural Treasures or find the most Historical Treasures. There are challenges ahead: The dice or another player could give you an Obstacle, but the rewards of playing your cards right are great: Fun times with friends while learning more about Michigan's first State Park! Or visit one of these friendly retailers. Owners: Download the revised rules, updated from feedback from you!